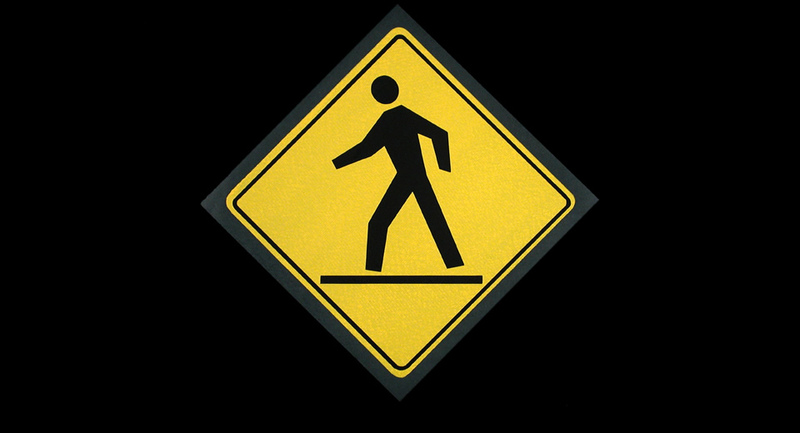 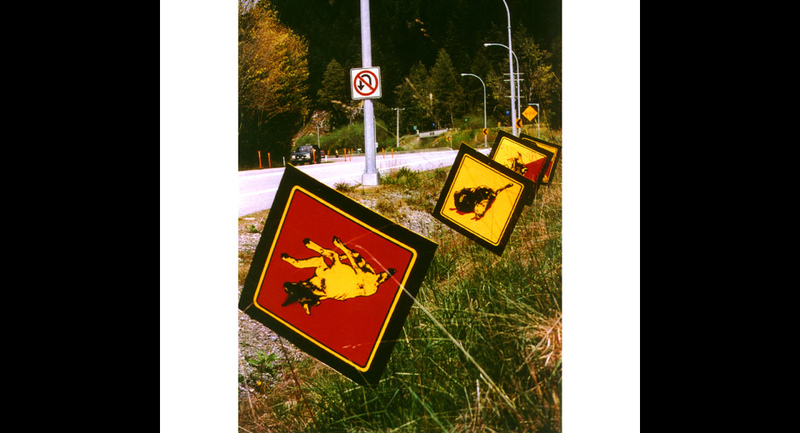 These series of images were inspired by the original warning signs used by the Department of Highways in Canada. 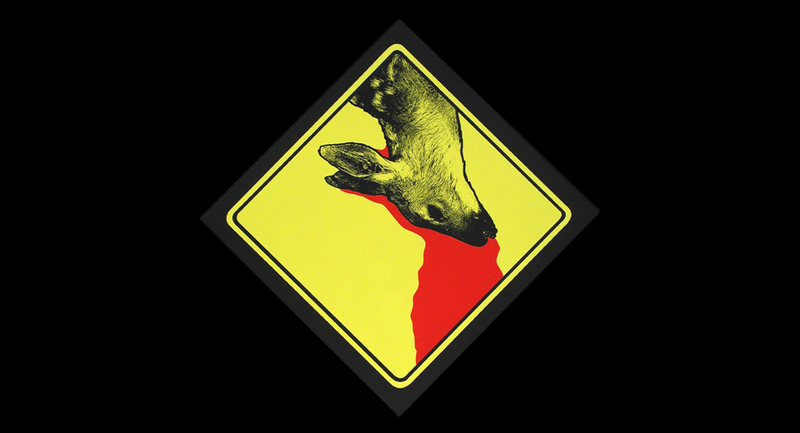 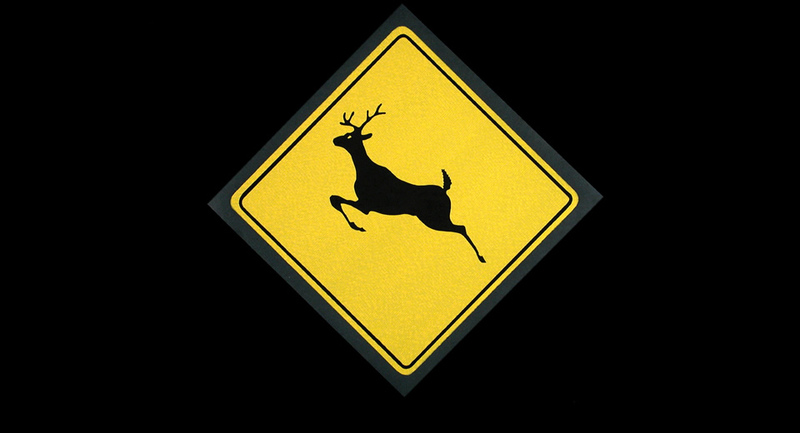 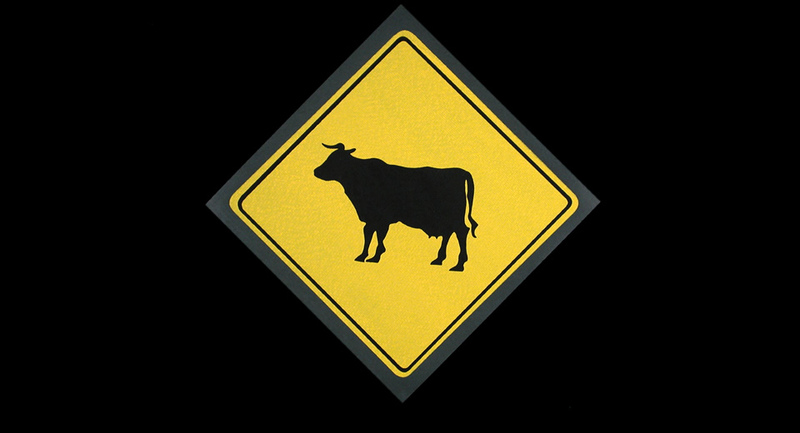 They reflect the contradiction between the presence of these signs and the reality of animals, which cannot differentiate between highways and wilderness. 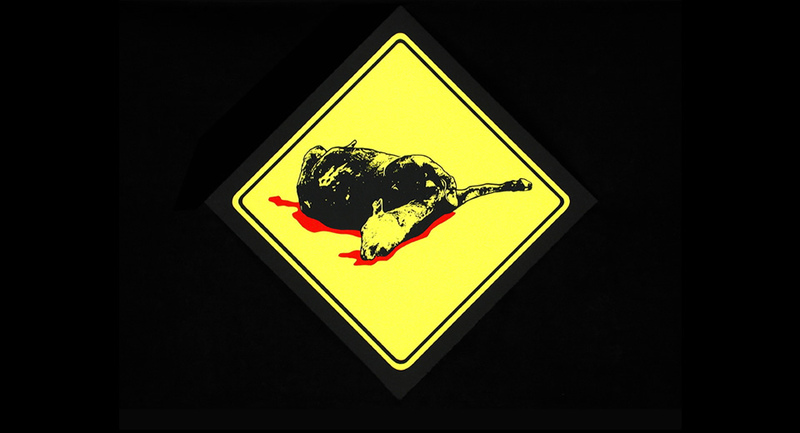 Hundreds of animals are killed each year by highway traffic. 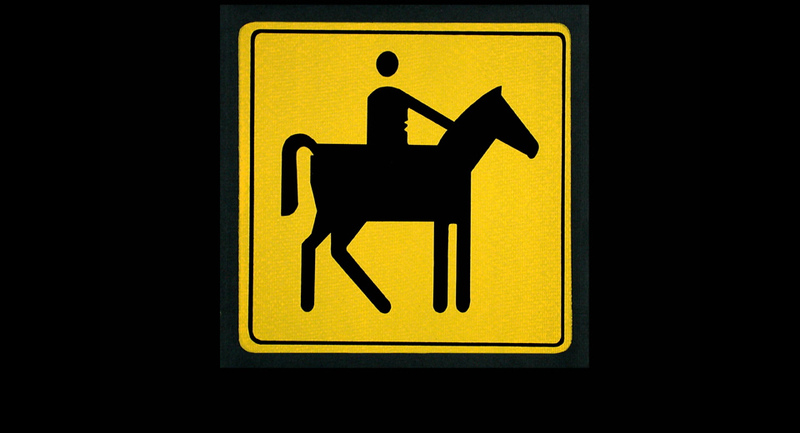 My work depicts the point where the urban surroundings meet the rural world. 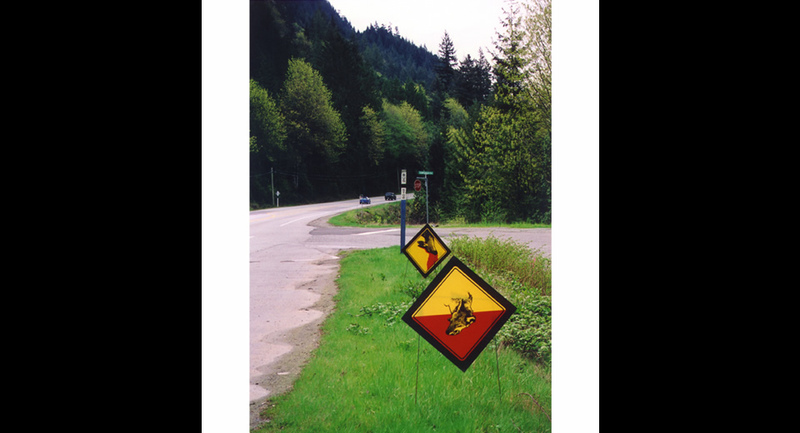 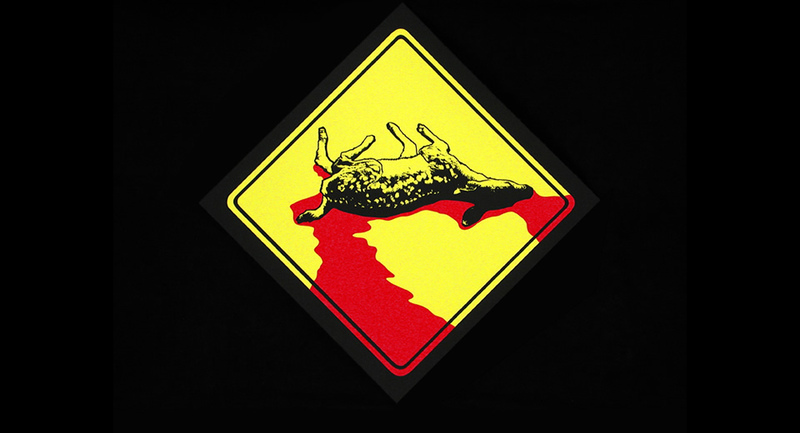 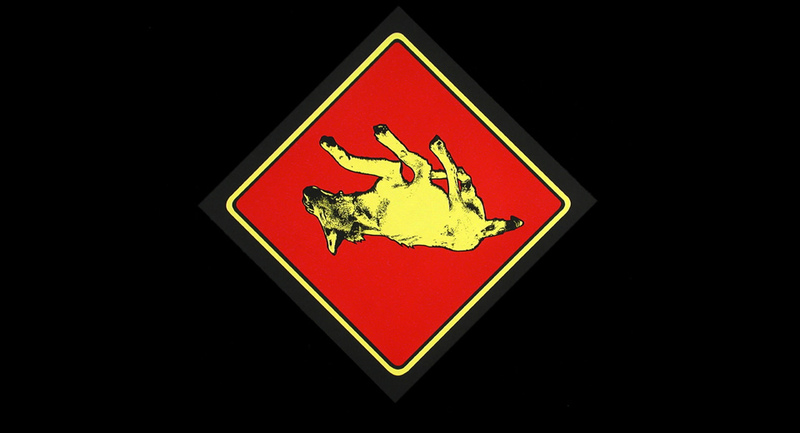 These works were originallly silkscreened on paper, and later reproduced on coralpast, a synthetic material that made possible the installation of the roadkill signs along the three main highways that connect Vancouver to the neighbouring towns, including Highways 99, and #1 North and Southbound (2003). 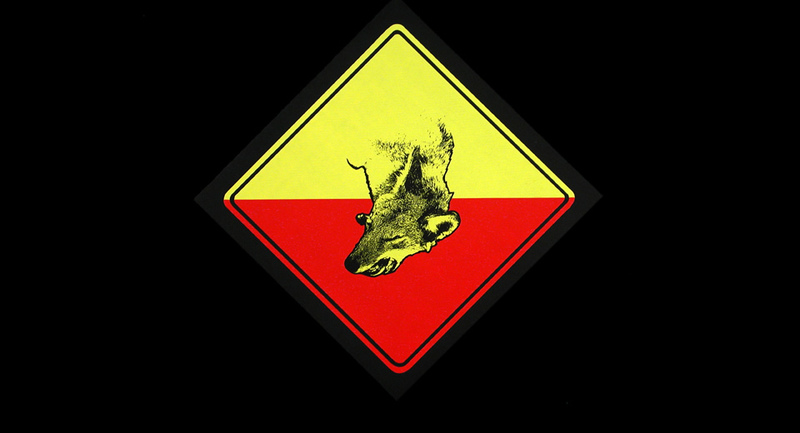 I would like to thank the artist Michael de Courcy for his technical support with the silkscreen process and for the meaningful dialogue at his studio.